In Bangladesh, the HSBC Group’s history dates back to 1996 when The Hong Kong and Shanghai Banking Corporation (HSBC) Ltd opened its first branch. Today, the HSBC Group offers a comprehensive range of financial services in Bangladesh including commercial banking, consumer banking, payments and cash management, trade services, treasury, and custody and clearing. Personal Banking: With a network of 13 offices, 39 ATM, 9 Customer Service Centers, an offshore banking unit, and offices in 7 EPZ, HSBC offers a full range of personal banking and related financial services including current and savings accounts, personal loans, time deposits, travelers cheques and inward and outward remittances. Commercial banking: Commercial banking is a traditional strength of the HSBC Group. In Bangladesh, HSBC is a popular choice for customers because of the Group’s international reach and a wide range of financial services and products. HSBC has an offshore banking unit (OBU) licence and can therefore also provide foreign currency financing to qualifying customers. In addition, there are 7 business development centers in the country’s major 7 EPZ areas including Dhaka, Chittagong, Adamjee, Mongla, Comilla, Karnaphuli and Ishwardi. Corporate and institutional banking: Corporate and institutional banking provides dedicated relationship management services to HSBC’s bank ltd clients in major corporate and financial institutions. The Bank’s focus is on fostering long-term relationship based on its international connections and extensive knowledge of Asia and Asian business. HSBCnet: HSBCnet, a proprietary computer-based software package, provides customer with an instant link into the HSBC Group’s international computer network, allowing them to perform transactions and obtain a diverse range of up-to-date information 24 hours a day, 365 days a year. Trade & Supply Chains: Trade finance and related services are a long-standing core business of HSBC based on the depth and spread of its corporate customer base, highly automated trade processing systems and extensive geographic reach. Payments and cash management: HSBC bank ltd is one of the leading providers of payments and related services to financial institutions, corporate and personal customers in Bangladesh. Underpinned by the Group’s extensive network of offices and capabilities, payments and cash management assists companies in efficient cash management through the provision of payments, collections, and liquidity and account services. Custody and clearing: HSBC bank ltd is a leader in custody and clearing in the Asia Pacific region and the Middle East. The network uses advanced securities clearing system, which was developed in-house and provides round-the-clock online real-time access to clients’ securities portfolios. Investment banking and markets: This division brings together the advisory, financing, asset management, equity securities, private banking, trustee, private equity, and treasury and capital market activities of the HSBC Groups. Treasury and capital markets: HSBC’s treasury and capital markets business ranks among the largest in the world and serves the requirements of supranational, central banks, international and local corporations, institutional investors, and financial institutions as well as other market participants. Network of 13 offices, 39 ATMs, 9 Customer Service Centers, an offshore banking unit, and offices in 7 EPZ. HSBC bank ltd Bangladesh Global Markets recently organized a workshop on “Time Management in Treasury World: Work-Life Balance” for the inter-bank dealers at a facility in the picturesque location of Bandarban – the Hill Tracts district in the South-East part of Bangladesh. 40 dealers from 12 commercial banks and the central bank attended the programmed which was held from 15-18 December 2010. Bashar M Tareque – Head of Global Markets, HSBC Bangladesh conducted the workshop which was focused on the importance of effective time management in the fast-paced and often-stressful Markets environment. The participants engaged in lively discussions of real life experience from both home and abroad during the presentation sessions. Recommendations were devised, with collective acquiescence, on practical solutions to maintaining a healthy work-life balance. HSBC Bangladesh Global Markets team has been organizing similar in-country workshops on an annual basis aiming at developing the local markets, building a strong inter-organization network and enhancing HSBC’s image among industry stakeholders. The Hong Kong and Shanghai Banking Corporation (HSBC) Limited in Bangladesh have launched the Young Entrepreneur Award (YEA) 2011, a business plan competition for undergraduate students. With the aim to promote creativity and innovation, YEA sharpens the business knowledge of young students beyond their borders. The regional finale of YEA 2011 will be marked by the participation of winners from Hong Kong, Malaysia, Thailand, Shanghai, Philippines, Brunei and Bangladesh. The competition starts with each team of 2 or 3 members submitting a business plan at the YEA website (www.asiayea.com) by 10 February 2011. Having passed through two levels of screening and workshops on entrepreneurial skills and knowledge, 7 best teams will present their plans to a panel of experts. Three best teams from Bangladesh will win prize money of BDT75000, 45000 and 35000 respectively. These three teams will also participate in a study tour in Hong Kong where the best team will compete in the regional grand finale in June 2011. The press conference was addressed by Mr. Aditya Narayan Singh Deo – Head of Human Resources, Mr. Iftekhar Hasan – Acting Head of Marketing and Communications and Mr. Sanjay Prakash –CEO of HSBC Bangladesh. Mr. Sanjay Prakash expressed his belief that YEA will harness creative ideas and provide real-life exposure to the future entrepreneurs of the country. HSBC Holdings plc, one of the world’s largest financial services organizations, has announced its 2010 annual results today. In a robust demonstration of financial strength and performance, the HSBC Group made a profit before tax of US$19,037m in 2010, an increase of US$11,958m, or 169%, compared with 2009. Net operating income before loan impairment charges and other credit risk provisions of US$68,247m was US$2,066m, or 3.1%, higher than 2009. Total operating expenses of US$37,688m rose by US$3,293m, or 9.6%, compared with 2009. On an underlying basis operating expenses were up 8% compared with 2009. The core tier 1 ratio and tier 1 ratio for the Group remained strong at 10.5% and 12.1%, respectively, at 31 December 2010. The Group’s total assets at 31 December 2010 were US$2,455bn, an increase of US$91bn, or 3.8%, since 31 December 2009. Pre-tax profit more than doubled to US$19bn on a reported basis. Profit attributable to shareholders rose to US$13.2bn (2009: US$5.8bn). Loan impairment charges down US$12.4bn to US$14bn, lowest since 2006. Earnings per share up 115% to US$0.73 (2009: US$0.34). Dividends declared in respect of 2010 totaled US$6.3bn, or US$0.36 per ordinary share, with a fourth interim dividend for 2010 of US$0.12 per ordinary share. Profitable in every customer group and region, including North America, for first time since 2006. Improved Personal Financial Services performance to achieve pre-tax profit of US$3.5bn. Commercial Banking up strongly, with pre-tax profit rising 48% to US$6bn. Global Banking and Markets pre-tax profit of US$9.2bn, second only to 2009. Faster growing markets accounted for 34% of customer lending, up from 26% in 2008, on a reported basis. HSBC, once again, leads the list of most valuable banking brands, according to Brand Finance Banking 500. The report ranks world’s local bank as the most valuable banking brand in 2010. This is the third time in a row that the world’s local bank has been adjudged as the most valuable banking brand. 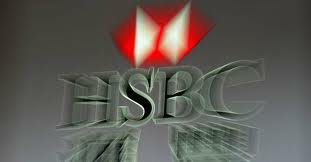 Besides topping list in the banking industry, HSBC has also increased its brand value by 12% to USD28.5 billion. Sanjay Prakash, CEO of HSBC in Bangladesh, attributed this to the Bank’s sensitivity to the different cultures, communities and customers, as well as HSBC Group’s uncompromising focus on prudent financial management. The Brand Finance® Banking 500, now in its fourth year, directly compares the values of the world’s leading banking brands. It is the only direct comparison of brand value within the banking industry. The result was published in an annual review which shows the banking sector is starting to recover. The ranking system looked at the world’s 500 most valuable banking groups and measures them by both their brand strength and value as of 31 December 2009. We aim to run a sustainable business for the long term. This is about achieving sustainable profits for our shareholders, building long-lasting relationships with customers, valuing our highly committed employees, respecting environmental limits and investing in communities. As a bank, we manage risk and identify business opportunities every day. We seek to embed social and environmental issues into what we do. Climate change and globalization are critical trends shaping the way we do business in the future. These trends will affect the world’s poorest people most significantly. We aim to mitigate the risks and maximize the opportunities associated with these shifts. Capital Weekly’s first Corporate Social Responsibility Award in recognition of the bank’s outstanding efforts in integrating sustainability into business. The HSBC Group’s Global Markets business ranks among the largest in the world. Operating through 87 treasury centers in more than 60 countries and territories, the business combines sophisticated global coverage with a broad understanding of local markets and regulations. In Bangladesh, our fully integrated sales, trading team leverages on HSBC’s global platform to provide treasury solutions of international standards to Bangladeshi clients. We offer a wide range of financial products and services covering foreign exchange and money market. Our dynamic corporate and trading team provides up-to-date market intelligence, advice and timely execution of deals to our customers throughout the trading day. The 2008 competition generated a huge following and due to the overwhelming requests from patrons and laureates, the 2009 awards was expanded to recognize young poets and writers in three categories ? Poetry, prose (novels and stories) and prose (non-fiction, research and play). The winners of the “HSBC Kali O Kolom Young Poets and Writers Award 2009” were Ahmed Munir for poetry, Ahmad Mustafa Kamal for fiction and Azizul Parvez for research. HSBC Bangladesh commemorated the International Women’s Day (IWD) by donating 38 sewing machines to disadvantaged women. The ceremony was held at the Banani branch of HSBC Bangladesh. The Chief Executive Officer of HSBC Bangladesh, Mr. Sanjay Prakash, handed over the sewing machines to these women. He hoped that through the usage of these machines, they would be able to contribute to the financial wellbeing of their families. The sewing machines were funded solely through HSBC employee donations. Advocate Salma Ali, Chief Executive Officer of Bangladesh National Women Lawyers Association also spoke in the occasion. With the advent of the winter season which claimed more than 36 lives last year, HSBC, Bangladesh embarked on a winter clothes collection drive where staff generously donated their warm clothes for the needy. HSBC staff donated over 900 pieces of winter wear including jackets, sweaters, heavy blankets and so forth. In addition, the Bank also provided 1300 warm blankets. A similar distribution was held from the HSBC offices in Sylhet and Chittagong. HSBC’s global policy on HIV/AIDS/STD has resulted in a HSBC Bangladesh partnership with HASAB, one of the leading NGOs aimed in creating awareness on this issue. HASAB recently organized two training workshops in HSBC Sylhet and HSBC Chittagong where over 60 staff went through an interactive session to broaden their awareness on the issue of AIDS. HSBC has scooped the runner up prize in the Sustainable Bank of the Year category in recognition of its leadership in merging social, environmental and business objectives. Now in their fifth year, the award recognizes banks and other financial institutions that have shown leadership and innovation in integrating social, environmental and corporate governance considerations into their operations. The 2010 awards drew 156 entries from 110 institutions in 44 countries. HSBC has been awarded the Outstanding Partnership Award 2009/10 under the Caring Company Scheme from the Hong Kong Council of Social Service for the “HKCSS-HSBC Social Enterprise Business Centre” which provides support to social enterprises. HSBC became the first financial institution. Emotive Brand Awards 2009-10 in the Brand with Corporate Conscience & Social Responsibility category which was voted by two million internet users of Yahoo! Accounts can be opened at any HSBC branch in Bangladesh. Alternatively, you can contact us at Account opening forms are also available in the website and offices listed overleaf. HSBC Bangladesh has a dedicated relationship team for the NRB. You can contact the NRB support desk at HSBC in Bangladesh, or in UAE. Corporate Employees Privilege Scheme (CEPS) is a customer proposition especially designed to provide preferential banking services for employees (having salary accounts with the bank) of companies under corporate agreement with HSBC. It allows our customers to enjoy privileged pricing, greater responsiveness and superior value for money. Please contact your HR department or the nearest HSBC branch to know about our specific arrangements for you! It’s our Internet Banking service that makes managing your finances a pleasure, letting you fulfill most of your banking needs online. Now you can take control of your account whether at home or abroad. Forget the hassles of parking or queuing up. You can access your accounts anytime, from anywhere in the world! View your balances and transactions, including your credit card statements where applicable. Choose to Go Green and switch off your paper statements. Pay bills to organizations and make transfers to friends and family. Create, view, amend and cancel standing orders and Direct Debits. Apply online for credit cards, personal loans, savings accounts and many more products. Take advantage of online discounts on selected products. Update your email address, postal address, contact telephone numbers, marital status and number of children. Foreign Exchange – Perform foreign exchange enquiries and services. E-Statements – Download your E-Statements to track your transactions. Online Bill Payments – Make life easier. Pay your utility and other bills online. At HSBC, we constantly look for better ways to provide maximum security for our online banking service, so that our customers can enjoy HSBC’s Internet Banking with total peace of mind. We are pleased to present our latest technology – the Security Device. By using the Security Device to access HSBC’s Personal /Business Internet Banking service, you can be assured that your information is being protected by one of the most sophisticated online security systems in Bangladesh. At the touch of a button, your Security Device generates a dynamic, time-sensitive Security Code. The Security Code constantly changes and is unique to your Security Device. This Security Code is required, in addition to your User ID and password, every time you logon to HSBC’s Personal/Business Internet Banking service. As only you have the Security Device, only you know the Security Code, and only you can access your account. Your Security Device is a simple and convenient way to ensure greater protection for you and your financial information. Protecting you from internet attacks! For further assistance in maintaining the operability of your Security Device, please follow the guidelines below. Keep your Security Device in a safe and secure place, where it is unlikely to be lost or taken by others. Keep your Security Device dry and safe from large temperature fluctuations. Submerge your Security Device in water. The Security Device has been designed to be water- resistant, but not waterproof. Submerging your Security Device in water will cause it to malfunction. Expose your Security Device to extreme temperatures. Leaving your device in areas with abnormally high or low temperatures (car trunk, clothes dryer, sun, etc.) may damage the plastic shell and cause problems with the device itself. Drop your Security Device from large heights, step on it, or otherwise physically stress the Security Device. Your Security Device has been designed to tolerate the normal day-to-day stress levels associated with daily handling. The device will be damaged if exposed to abnormal conditions. Open your Security Device. Your Security Device has several tamper proof features. Opening the device, removing the battery or circuit board, etc. will cause the device to malfunction. We are delighted to announce that we have launched a new and upgraded version of our Phone banking service (known as Call Centre Integrated Service or CCIS) on 19 April 2008. This new Phone banking service is integrated with our Call Centre and will provide you with access to your accounts 24 hours a day and 365 days a year. Phone banking is designed for total privacy. To ensure the confidentiality of your transactions, your account can be activated only by keying in both your Phone banking Number (PBN) and your Personal Identification Number (PIN). You can also change your PIN as often as you want for increased security. Simple-to-follow instructions will guide you to carry out your Phone banking transactions. For your convenience we have developed a Quick Search function for faster execution of your transactions. Our Phone banking service allows you to perform a wide range of transactions. HSBC’s co-branded credit card with Prime Bank gives you the freedom to pay for goods and services without the hassle of carrying cash. The card is accepted at shops, restaurants, hotels, airlines and travel agents, departmental stores, hospitals and diagnostic centers, practically anywhere in Bangladesh displaying the MasterCard logo. To apply for a Credit Card just visit any HSBC branch in Dhaka or Chittagong or call our Call Centre for more information. We will be happy to help you with your application. Traveler’s Cheques are available in all major currencies and eliminate the need to carry cash while traveling overseas. Unlike cash, Traveler’s Cheques are safe and will be immediately replaced if lost or stolen. Traveler’s Cheques issued by HSBC are accepted worldwide, giving you spending power wherever you are. Available in most major currencies in denominations of 50 and 100. 1% commission of the total amount endorsed. Passport endorsement fee of BDT250. The mission of HSBC bank, as with all commercial banks, is to make as much money as possible for it’s shareholders.